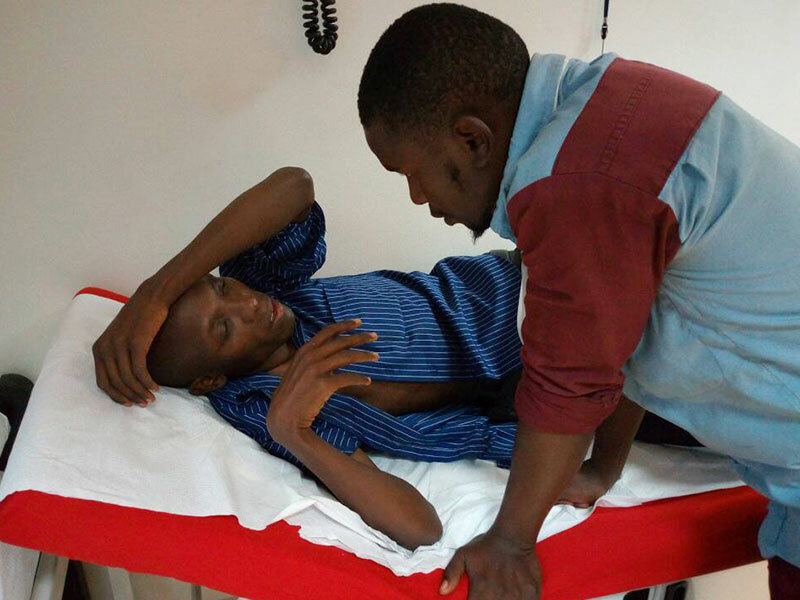 Candidate Nkunyingi Muwada in hospital. KYADDONDO. 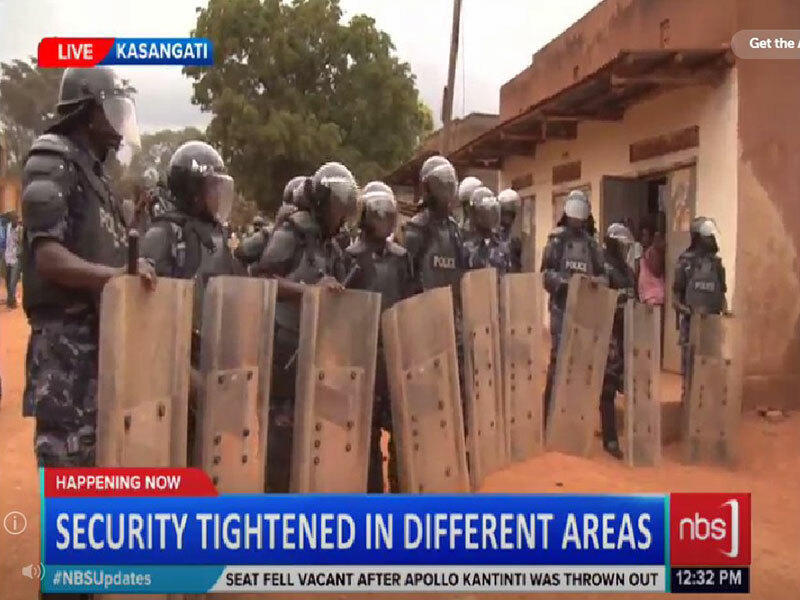 Violence flared in Kyaddondo Thursday when Candidate Robert Kyagulanyi Ssentamu’s fans stormed Kasangati Resort alleging that there were pre-ticked ballot papers in the place. The supporters claimed to have been tipped off by a worker at the hotel. 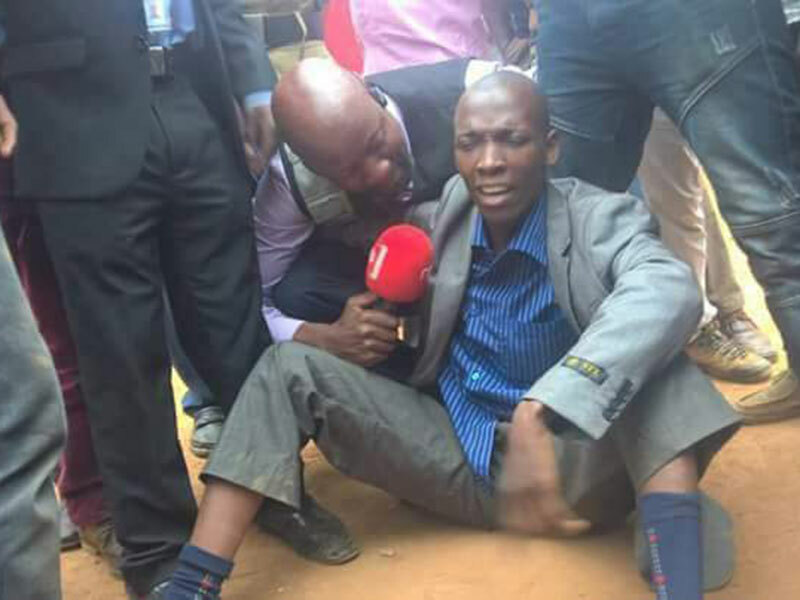 Frank Mwesigwa: "It's not true that there are pre-ticked ballot papers inside Kasangati Resort"
The chaos ensued outside the Kasangati Resort premises and Police were heavily deployed in the premises complete with their fierce mamba trucks as anti-riot police went to work to disperse the crowd. The Kasangati Resort premises is a tally centre for the National Resistance Movement (NRM) and their candidate Sitenda Sebalu. Candidate Nkunyingi Muwada, an independent, was arrested after he tried to cast his ballot at Kitezi polling station where his name wasn’t on the voter register. “This is unfair, I vote from this polling station. Why are they transferring me to another polling station?” bemoaned Muwada. Police said Muwada had been advised by Electoral Commission agent to go and vote from another polling station but he instead protested and threatened to cause chaos, prompting Police to detain him. Muwada was later released and cast his vote and later on at another polling station. However, sources from the candidate’s camp say he was hospitalised thereafter because he sustained injuries in the scuffle during his arrest. This news website could not ascertain the nature of the injuries Candidate Muwada is said to have sustained. Speaking to NBS Television, Kampala Metropolitan Commander Frank Mwesigwa said four people have been arrested and will be charged with inciting of violence. The downpour in the afternoon appears to have been timely as it calmed tension in what was turning up to be a worked-up day at Kasangati. Voting, however, has been going on peaceful at the other polling stations. "Instead of chasing people, let the police investigate if there are pre-ticked ballot papers"